Our exciting news this spring is that Down Wind Sports is now a full service fly fishing shop with a large selection of rods, reels, waders, fishing apparel, wading boots, gear bags, flies, vests and watercraft- everything you need for a successful day on the river! We are so excited to be carrying some of the leading manufacturers in the industry including: Sage, Rio, Scott, Tenkara USA, Ross, Umpqua, Patagonia and Ex Officio. When fly fishing in the Upper Peninsula you will find yourself surrounded by some of the country’s most beautiful scenery and some world-class fly fishing waters. The U.P. has always had a storied history of fly fishing for native trout on these wild and remote streams. Among many Yoopers, the name Robert Traver brings back pleasant memories of his stories about fishing for trout in these very streams. At Down Wind Sports you’ll find that friendliness and passion for U.P. fishing lies right inside our doors. Come in or call to chat with us about the latest technology in fly fishing gear, innovative flies, and guided trips from Rivers North Guide Service in the beautiful Upper Peninsula. Whether you’re a novice to fly fishing or a seasoned veteran, we have all the fly-fishing gear you’ll need. We pride our selves on continuing our tradition of offering the highest quality products so if you are an angler, or have one in your family, please stop by this spring and check out our latest offerings in our new fly fishing department! Rivers North Fly Fishing Guide Service of Marquette, MI offers secluded, guided fly fishing trips throughout Michigan’s Upper Peninsula. Experience U.P. 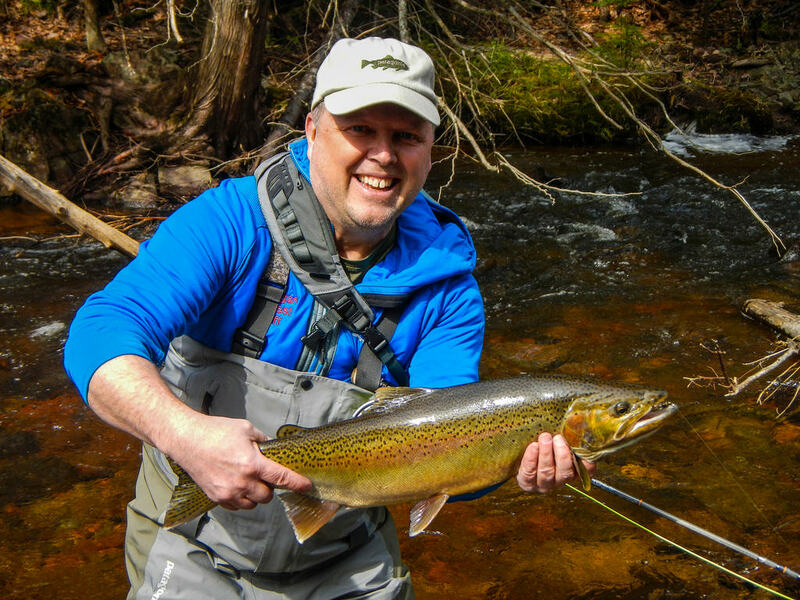 fly fishing with the only licensed and endorsed fishing guide service in Upper Michigan for Brook Trout, Brown Trout, Atlantic Salmon, Steelhead and Pacific Salmon! Join U.S. Coast Guard licensed and insured Captain Brad Petzke of Rivers North Guide Service for a remote specialized fly fishing outing on one of the many remote and scenic rivers/lakes of Michigan’s U.P. Fly fishing in Michigan’s U.P. 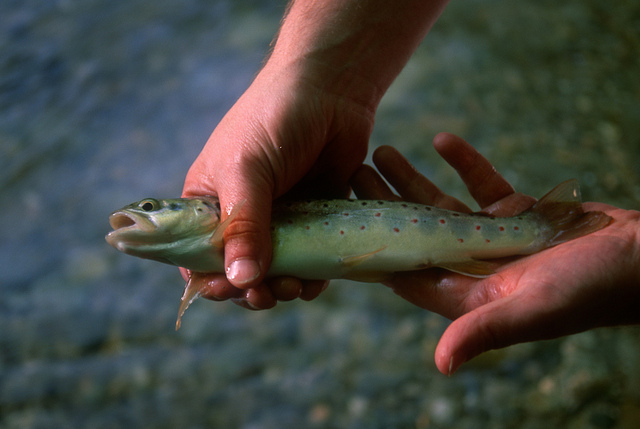 has a strong heritage-with thousands of miles of Blue Ribbon Trout streams. The Upper Peninsula of Michigan is a fly fisherman’s paradise! Rivers North Guide Service advocates catch/release because the future of our fishery here in the Upper Peninsula depends upon it.